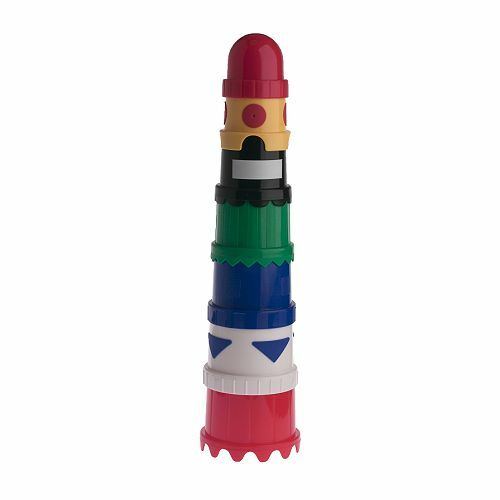 The name pretty much says it all: seven cupst that nest inside each other or stack as a tower. Many of the cups have one or more holes in the bottom or sides. Sometimes the best toys are the simplest ones. Mula cups are colourful, have different shapes & textures on each one, plus they make a great bath toy. The holes in some cups make for fun sprinkler or fountain effects in the water. We use it to rinse baby's hair, he uses it to practise drinking from a cup & works on his spatial perception trying to stack or fit the cups inside each other. The nesting makes it very compact to store & it dries quickly. This is the best part: $2.99.